In a day and age when everyone is connected, and shadowy figures halfway across the world can hack into your computer or phone, it’s essential to protect your right to privacy with a tool that gets the job done right. With Nope Portable Sound Microphone Blockers, preserve your precious privacy with a device that guarantees your conversations remain private. These microphone blockers stop hackers from eavesdropping on any of your conversations, whether it’s near your computer or phone. 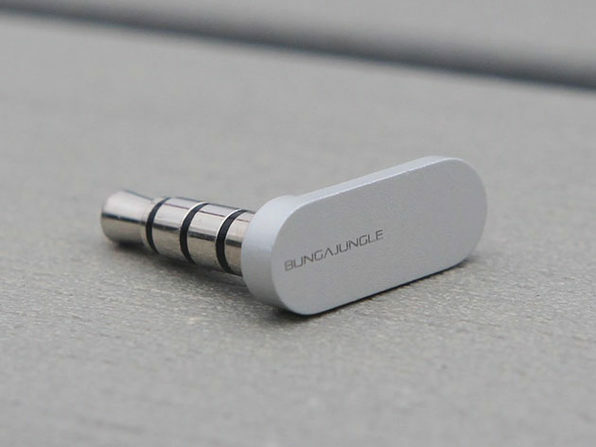 Here’s how it works — plug in one of the two included Nope Sound Blockers into your computer, laptop, or smartphone’s 3.5mm headphone jack. Then, the Nope Sound Blocker — packed with microelectronic circuitry — forces your device to sense an installed mic and turns off your device’s onboard microphones. With a simple plugin, you’ll protect your right to privacy and prevent any wannabe hacker from listening in on your conversations. Even better, these portable sound microphone blockers were built with your convenience and ease of use in mind. Meaning, you’ll get them from home to the office easily thanks to the included keychain. Plus, since they’re tiny and have an ergonomic design, you won’t deal with any noticeable bulk when using it with your computer, laptop, or smartphone. Protect your right to privacy with Nope Portable Sound Microphone Blocks for $16.99 in The Daily Caller Shop. That’s 22% off the original price of $21.99.